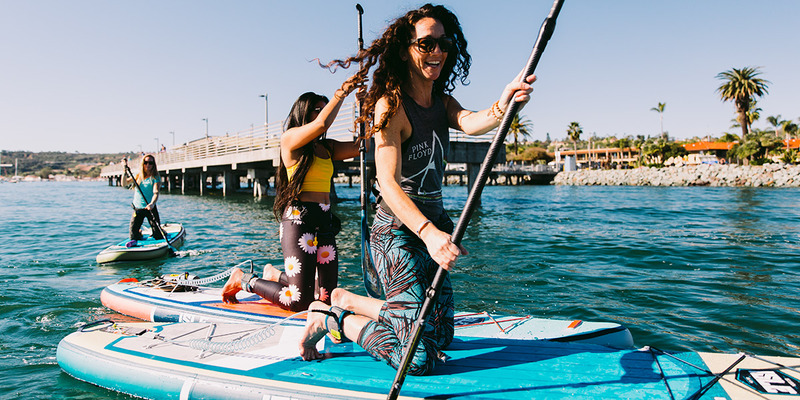 So you want to learn how to paddle board like a pro eh? Well, you’ve come to the right place. Lucky for you, learning how to paddle board like a pro is simple…if taught correctly. Paddle boards come in all shapes and sizes. If you’re just starting out, your best bet is to select a board that will provide you with enough stability to learn the basics with ease. 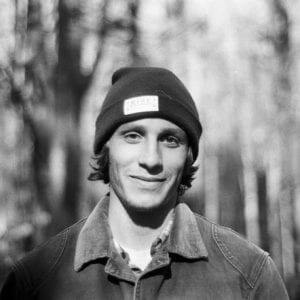 If your board feels too unstable after several attempts to gain your balance, try a longer, wider board with more volume. 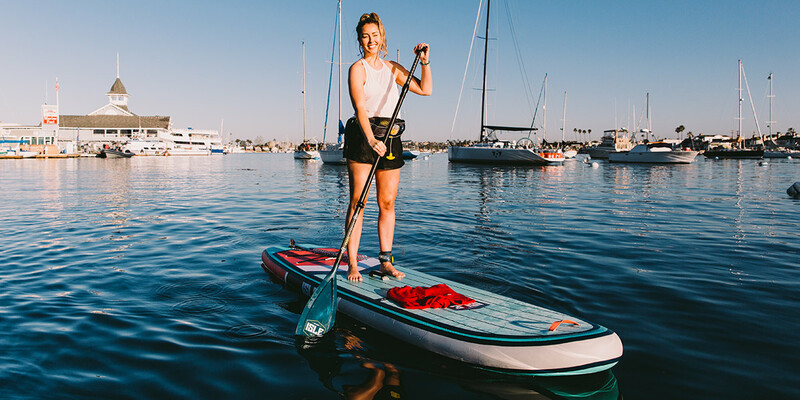 Find a spot to paddle that has flat and calm water – preferably a bay, lake or pond — and definitely nowhere with waves. Place your board in the water (preferably a sand bottom to start off) so the fin is free from hitting the bottom. Start out in a kneeling position on your knees and take a few strokes on each side of your board with your paddle. 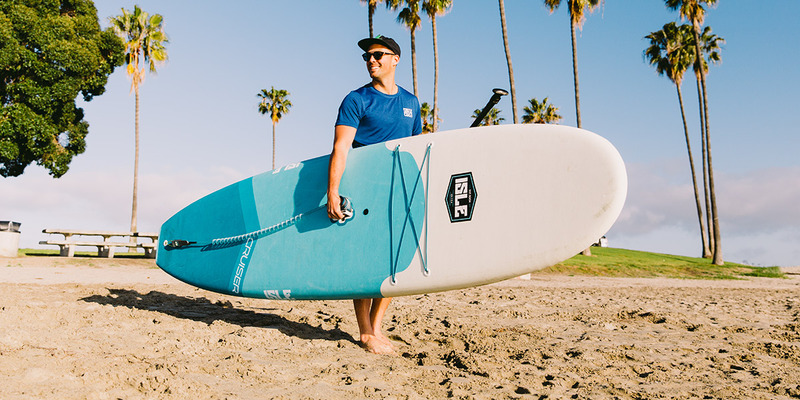 Slowly, stand up with one foot at a time with your feet placed shoulder width apart above your board’s center grip handle with your toes pointing towards the nose of your board. 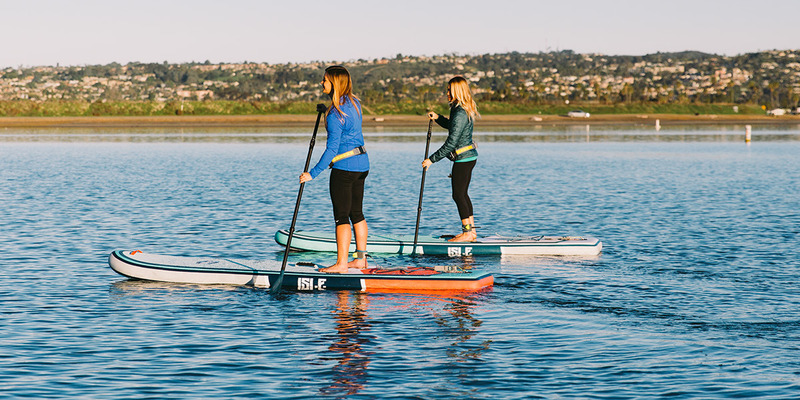 Keep a slight bend in your knees and have your core and weight centered over your board as you continue to paddle. A few of the most common SUP mistakes have to do with paddling. 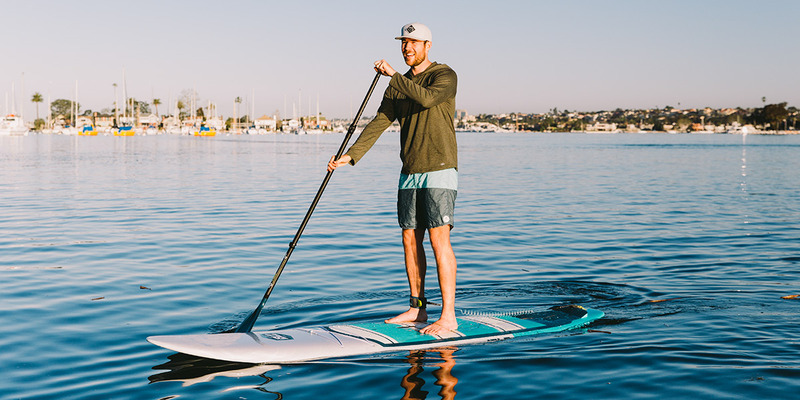 Whether you’re holding your paddle the wrong way or have bad form, the paddle boarding tips below will make sure you avoid these mistakes right off the bat. Paddling is the most important aspect to paddle boarding so nailing down the right form is key. Whichever side you may be paddling on, it’s important (and more comfortable) to have your hand gripping the top of your paddle (as seen in the picture below). If you’re paddling on the right side of your board, your left hand should grip the top and vice-versa for paddling on the left side. Also, make sure your paddle grip is shoulder width apart — short grips will give you a powerless stroke. When paddling, your paddle’s blade should be bent away from you. Holding your paddle this way will provide you with optimal tracking and speed. A simple way to remember this on ISLE paddles is that the logo should always be facing towards the nose. A good paddle stroke separates the beginners from the experts. Your paddle should always be perpendicular to your board when it enters the water, never at an angle. This technique will allow you to get more power out of each stroke. This will take some time to master. Dip your paddle’s blade fully into the water and take a long stroke, letting your back muscles do the work. Many people put the full brunt of their stroke by using their arms. When you’re standing on your board, keep your feet parallel and spread shoulder width apart. Everyone wants to get in a surf stance, but that makes paddling on the flat water ten times harder. Plus, you will fall. Save your surf stance for the surf, and keep your feet parallel with toes pointed toward the nose. Always remember to use a board leash when you’re paddle boarding. A leash will keep your paddle board close to you if you fall off. Always do your homework before heading off to paddle board. Check the hourly weather forecast and wind reports. Avoid poor weather and heavy winds.